Eight artists with very different personal and geographical backgrounds have come together for the exhibition PLANET SOLITUDE 48°09'N, 11°27'E: On the one hand, those resident in Munich – Jovana Banjac from Croatia, Theresia Hefele from Germany, Anna Kiiskinen from Finland, Anne Pincus from Australia and Yukara Shimizu from Japan; and on the other hand, Mollu Heino, Talvikki Lehtinen and Marko Lampisuo, who all live and work in Finland. 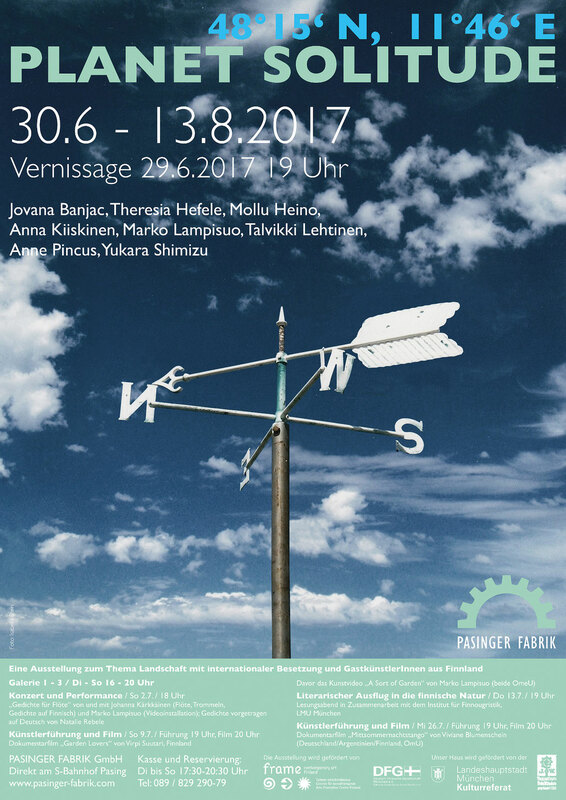 The exhibition in Pasing, Munich is the second in a series of exhibitions with the same title. The first took place in 2015 in Pori, Finland (planet solitude 61°29'N, 21°48'E), a part of Finland all the guest artists for the show in Munich originate from. Each of the eight artists have been influenced by the social, cultural and aesthetic landscapes and surroundings of their home countries, as well as those of their chosen homes. Some of the artists focus on details in nature or the environment, while others depict the sometimes drastic changes which have taken place in the landscape over time. These are eight very personal, aesthetic positions on the subject delivered through the mediums of photography, painting, sculpture, printmaking and video. powerless and insignificant. The search for seclusion, solitude and peace in nature reflects our need for sanctuary and a place to reflect. A view is not an objective expression but rather a subjective impression dependent on position and experience. To deal with the subject of landscape or our natural surroundings as an artist means to find one’s ‘place’ within that landscape. It also reflects an attempt, through a subjective and cultural lens, to draw closer to nature and the world as a whole. 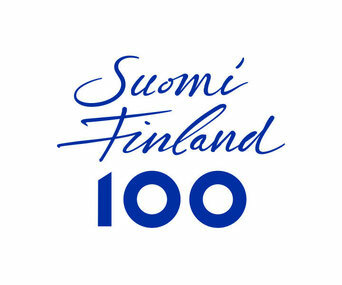 In order to honour the three Finnish guest artists and to grant the public an insight into the natural and cultural landscape of Finland, a country celebrating its 100th anniversary of independence this year, the artists have organized a series of events with a special focus on Finland. The opening will be followed in July by a concert-performance by two of our Finnish guests, there will be two artist-led tours through the exhibition, two amusing and touching documentary films from and about Finland, and a reading event in German showcasing Finnish literature on the subject of nature. Videos by Marko Lampisuo, music on the flute & poems by Johanna Kärkkäinen.